Feed the hungry. Support the military. Fund cancer research. Rescue a dog. Save the rainforest. End global warming. We have all been exposed to these causes at some point, along with others. Depending on what your experience has been so far in life, different issues will evoke different feelings for you, and it's sometimes hard to know how to help. With so many honorable topics out there, companies and small business are working harder than ever at making a difference. In the words of Tim Scott, founder of Mitscoots, "If we make a really good thing, people will want that thing, and we can go and do good stuff because of it." As simple and lighthearted as this sentence is, it describes the heart of a true charitable company. The more great product they make, the more people they help; the more people they help, the bigger the reach and impact they have on the world. Here are some creative and charitable companies who actually give back, so you can feel good about buying their products! After all, you are helping our planet Earth become a better place to live, and we certainly need that. Mitscoots: In simple words, this is a company that makes and sells super cool socks. Why socks, you ask? The founders had extensive experience in volunteering with the homeless community, and saw a great need for socks. A simple thing we all take for granted, socks rarely ever get donated to shelters. Those dingy socks with the holes you threw out? Someone would kill for those. They are a small luxury, but they make a big difference in someone's comfort and health. Tim and his wife decided to fill the void, and started what is now Mitscoots. For every pair sold, Mitscoots donates a pair to the homeless. Sound familiar? They then take the initiative one step further by actually employing the very homeless who need those socks, to put the product together. They didn't want to simply be a band-aid on the issue. The company acts as a "step 1" in helping the displaced community transition from a difficult and hopeless situation, into employable members of society. Mitscoots gives them work experience, discipline, guidance, and emotional support as they work through their recovery. With its headquarters in Austin and the product manufactured in the U.S, they can ensure complete quality control and provide the consumer peace of mind that all the product is ethically made. The company works diligently at growing the brand, values its passionate employees, and is always looking for ways they can help the needy. Sand Cloud: Sand Cloud Apparel is an impossibly fresh and sunny brand that makes you want to become a surfer, or at the very least live near some salt water. When you purchase a Sand Cloud beach towel or any other product, you help to preserve and protect beaches, oceans, and marine life. 10% of Sand Cloud net profits are donated to organizations such as the Surfrider Foundation and Oceana. Both of these organizations work tirelessly to make the world a better place for all of us. And who doesn't like clean beaches? The brand works with ambassadors to get the message out, so if you are someone who is passionate about philanthropy as well as marine life, or if you're just a beach bum, this may be the perfect match for you! You can find ambassador information here if this cause speaks to you. 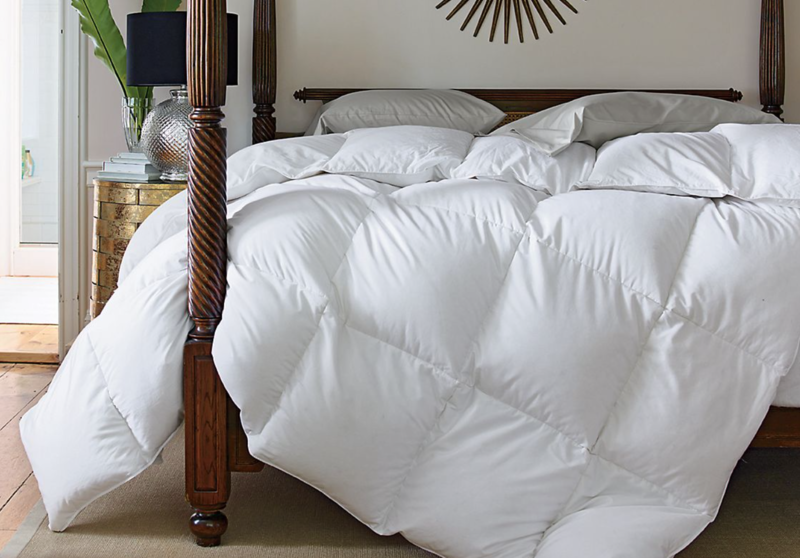 The Company Store: This is another charitable company that donates comfy comforters to children who are in transition from shelters into more permanent housing. 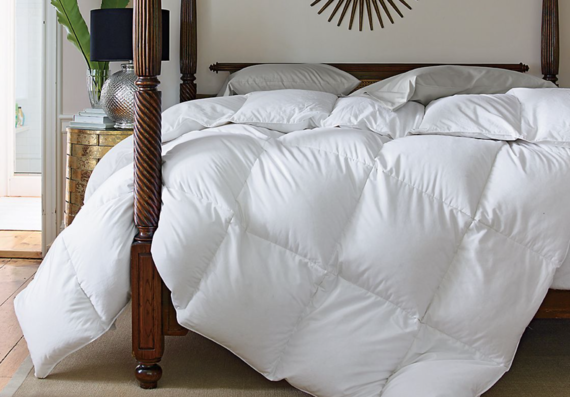 For each comforter purchased by a consumer, The Company Store donates one to a child in need. The number of homeless children in the U.S. has skyrocketed in the last few years, amounting to one child in every 30 according to a report back in 2014. If helping these young Americans stay warm and comfortable speaks to you, this may be a company you want to support! All product is American made as well. We all want to give and support causes that tug at our heartstrings. Sometimes we can't because we have our own needs and expenses. What is so great about charitable companies, is that by purchasing a product you need and would buy anyway, you are helping support a cause you believe in, at no additional cost to you. Let these examples inspire you to search for philanthropic options next time you need to make a purchase! Whether it be something big like a comforter, or something small, like socks, you can make a difference in someone's life. This article was first seen on The Society Letters.